Actually the opposite is true. Banks would rather approve a Short Sale than to foreclose on your home. Foreclosures are time consuming and more expensive for a bank (i.e., legal fees, additional taxes due, etc.). The result of a foreclosure is that the bank now owns a home they have to sell and in most cases, the last thing the bank wants is another home. This was once a true statement but in February of 2013, new FHA guidelines and procedures adopted by most banks, allow a home owner to request a Short Sale even if you are current on your mortgage payments. In the past, Short Sales have been a time consuming and challenging process in some cases, but historically, most Short Sales have been approved in 60 to 90 days. New FHA requirements now mandate that banks must adhere to specific time frames and deadlines, most notably, a response to a Short Sale request with a complete documentation package must be made within 45 days of receipt. This is an old myth. Banks already received their bailouts and have also been given certain incentives that are part of the HAFA Short Sale program. 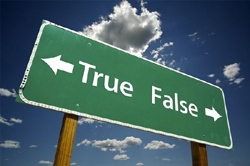 This myth is should really be restated as “Some buyers are not interested in Short Sales”. Most buyers however, recognize that homes sold as Short Sales can be excellent buying opportunities because they can often times be purchased for slightly less than market value. In many cases these Short Sale homes are owner-occupied and are very well maintained. Many investor buyers actively seek out Short Sales for these same reasons.